Now don’t go thinking I’m getting lazy. 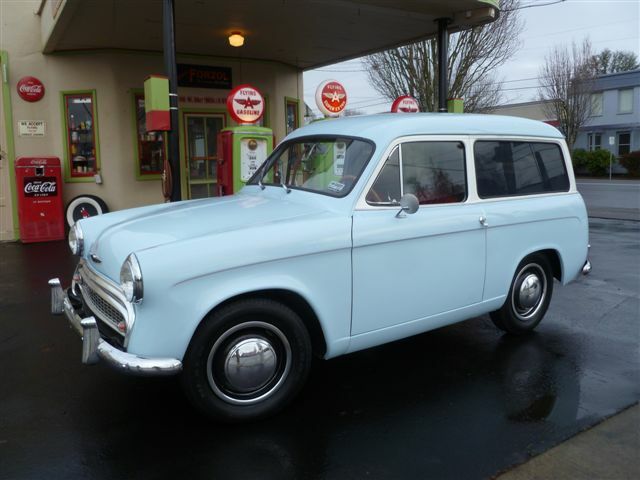 This is not the same Hillman Husky that was featured here before. It’s a newer, nicer one. This one has the updated body styling, many new mechanicals, and shiny paint. The old Hillman post here at NTC was about a 1956 Husky. In that post was mentioned how the body style lines were smoothed for the second generation of Husky. Now you can see the difference side by side (I know you’ve been waiting for this). They even have the same paint scheme...eerie. 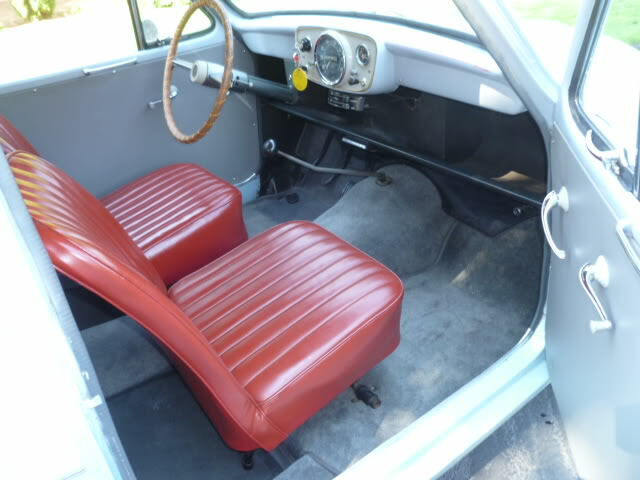 The 1960 model was full of upgrades. For example the 1265 cc engine was upsized to 1390 cc. It was two inches longer and now included a four-speed transmission. The poor blokes who bought the ’56 model must have really felt like chumps for not holding out for these changes. Joking aside, this Husky has been nicely sorted and looks like it would make a great driver. 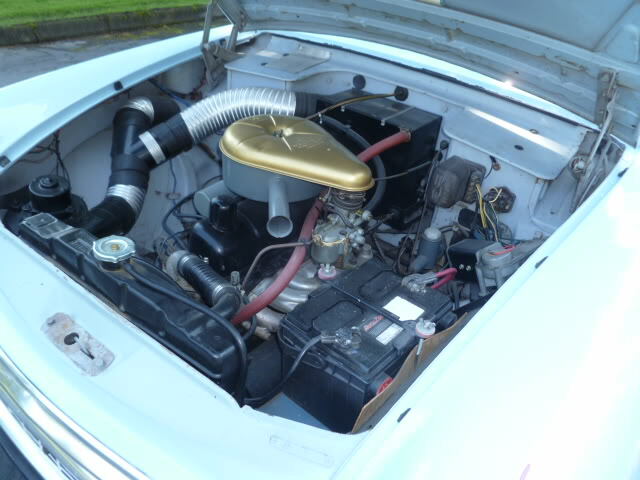 The interior is spotless and the engine bay is nearly as nice. The ad is here on ebay, with the reserve not yet met. So, should you buy it? Yes of course. Why? Because despite all the upgrades, it still has that side-hinged rear door. You can’t say no to that. Plus, need That Car is developing a real soft spot for these little wagons. Perhaps you should even buy both – you know, his and hers Hillman Huskys. This entry was posted in 1960s, Imports (Euro), Weekly Wagon and tagged British Hillman, Deja Vu, Hillman Husky, How much is that husky in the window. Bookmark the permalink. I haven’t seen that combo much, but it definitely works on this car. I concur.